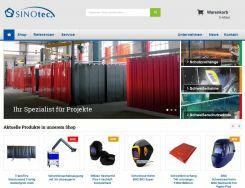 The new website www.sinotec.de is not just a website. It’s the new main communication platform, which compromises all of the information of the products and brands fom SINOtec. Ordering online is one of the many options that the new website has to offer. One of the main goals was to create a website that makes the daily work easier – precise functions for industrial consumers. Needless to say, the customer will receive all the information about SINOtec. The active welding helmet SINO BH3 was recently updated with an important function – the FLIP-UP function. Now it can be used as an all-rounder. The FLIP-UP function ensures a clear view of the surroundings and the welding process for the user through flipping the front. 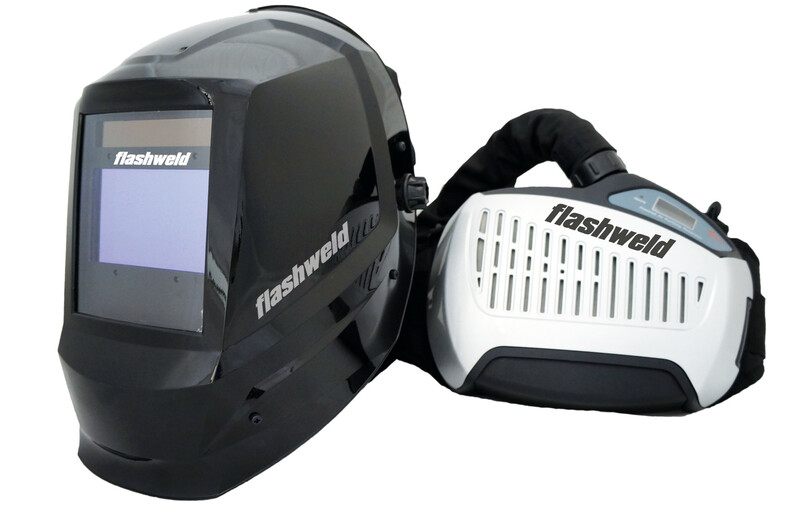 By shutting the visor you can weld more comfortable and safely. Thanks to the flip front, the BH3 is suited for grinding as well as welding work. The customer has the option to choose between classic SINO BH3 welding protection helmet or the SINOair BH3 welding helmet with integrated air duct and face sealing, which both have the FLIP-UP function. The FLIP-UP frame can also be bought as a spare part. Needless to say, the SINO BH3 FLIP-UP can be combined with the suitable head protection helmets. SINOair® PRO SAP is a universal respiratory protection system, which was specifically designed to protect the breathing during industrial uses. The turbo unit is an easy replaceable and reasonably priced filter, which provides protection against solid and liquid particles e.g. smoke, bacteria, fibers and aerosols. The air flow can be adjusted to three levels. The volume flow can be supervised electronically with the help of a sensor, which will also signalize any disturbances on the turbo unit. 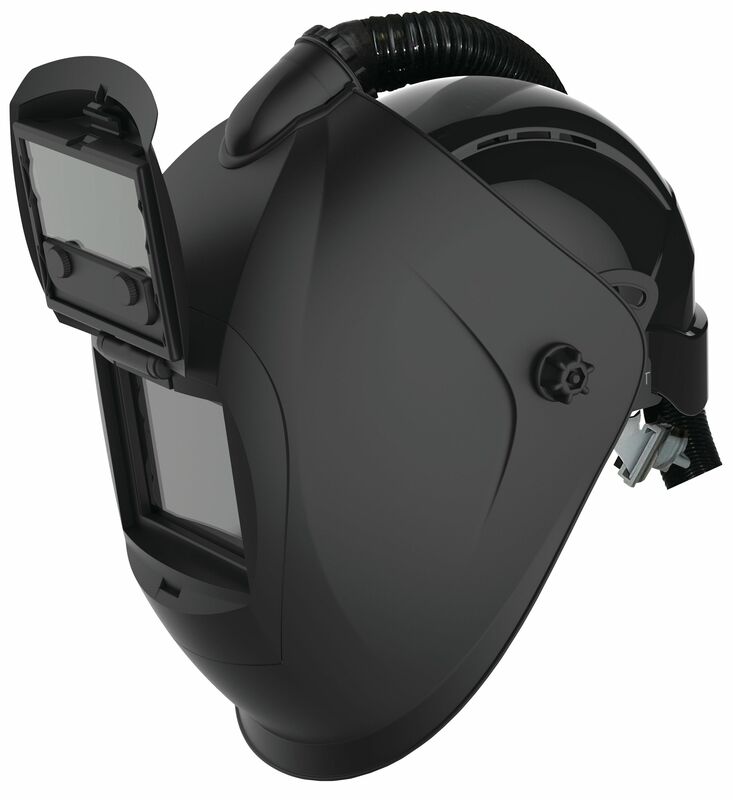 The SINOair PRO SAP respiratory protection system is also combinable with the welding helmet flashweld FIRE. 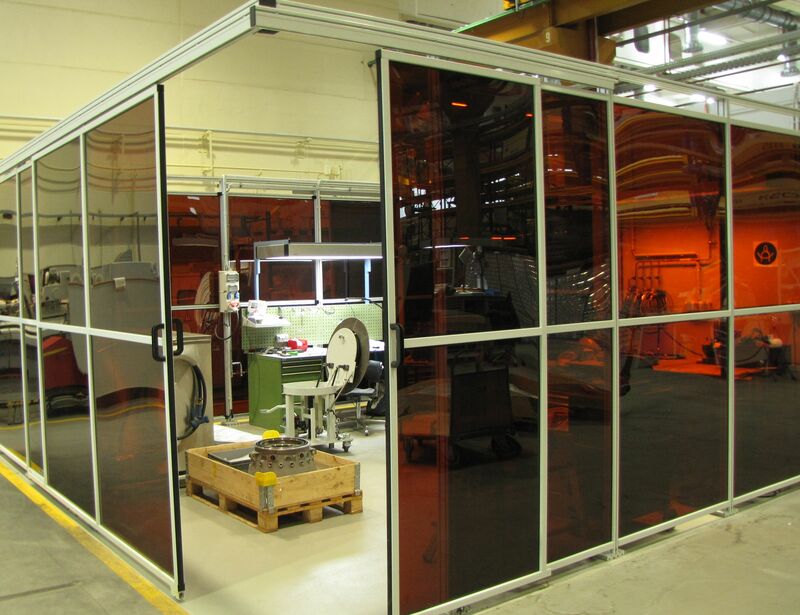 If you need an individually planned welding cabin or help with the realization of a bigger project – then SINOtec is the right partner for you. Not only is the protection against the optical radiations important but also the accessibility and the transport of the protective partitions. Cranes, forklifts, ventilating systems, windows and doors should also be considered. SINOtec will help you find the best solutions to achieve your goals. Our experienced staff will gladly help and support you. 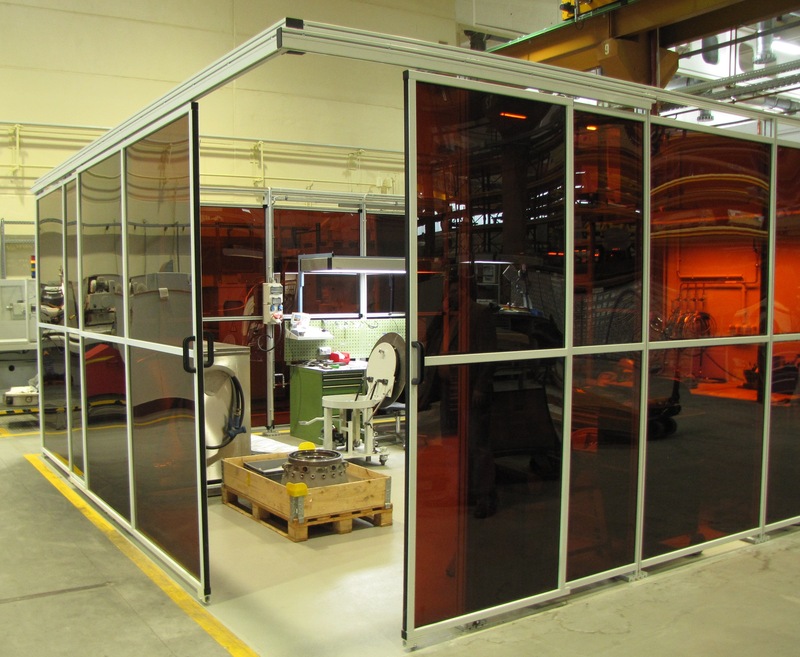 SINOtec presents TransLux welding and robotic screens made of polycarbonate. These screens distinguish themselves through the excellent visual features and the ideal UV-protection. Especially the 3 mm thick screens are suited to protect machines or appliances. Furthermore, the screens can be used as visual welding protection screens or as partitions between the different production areas. The polycarbonate screens protect the user from dangerous radiations, spatters, coolant or lubricants as well as fuels or oils. Any impact will be avoided. TransLux rigid screens are available in the following models: T90 (dark green), T75 (dark green), T55 (euro green), T50 (red brown) and T40 (red orange). They are certified according to DIN EN ISO 25980:2015-01 und DIN EN 1598:2011-12. The screens are also available as a mobile version with an aluminum frame. 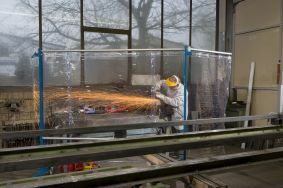 Advantage: The screens can easily be placed or moved to areas that need to be protected from welding radiations, dirt, sparks or spatters. 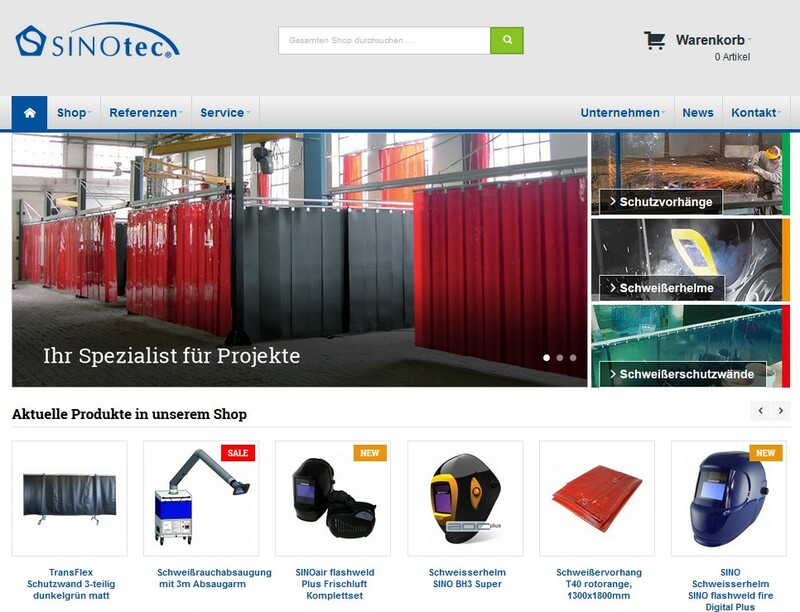 The name SINOtec stands for high quality and the newest developments standards, certified products and the best solutions when it comes to welding curtains, welding partitions and screens for welding cabins. Furthermore, automatic welding hoods and glasses have been established in the personal equipment delivery program. We also offer respiratory blower units that are used as a protection against toxic and cancer causing welding fumes. These blower units fulfil the rising health demands for welders. Welding workplace equipment and noise protection complete our range. Our company has the expert knowledge and the respective products to design welding protective partitions, which fulfil the safety and production requirements. Our staff has more than 20 years of experience and will help you find solution to achieve your goal. Most of our employees have been part of the “SINOtec family” from the beginning. Our main turnover is in Germany and it has risen by almost 4 million Euro, but we also have business connections in Italy, Spain, Great Britain, the Netherlands, Poland and Russia. SINOtec now offers welding and protection curtains and welding and protection strip curtains B1 – hardly inflammable. The strip curtains have a thickness of 2 mm and 3 mm and the curtains have a thickness of 0.4 mm. They’re available in following versions: T0 (clear), T39 (red orange) and T75M (dark green matte). SINOtec offers the product line TransTac B1 hardly inflammable to meet the fire safety requirements of the industry and to fulfill the wishes of the plant fire brigades. It is primarily used in the car industry. TransTac B1 fulfils the requirements of the standard DIN 4102 part 1 of the building class material B1 (hardly inflammable building materials). Thanks to the low afterglow time of the tested material, TransTac protection curtains and strip curtains B1 are considered non inflammable. The testing was done with the independent MPA NRW (Materialprüfungsamt Nordrein-Westfalen). If required, we will send you the test certificate. When the traditional, protection curtains and strip curtains are burning, the TransTac B1 welding and protection curtains and strip curtains will come through and offer the necessary protection for the worker and his surroundings.